Spit roasts, be it hog, pig, lamb or poultry, are our speciality. The aroma from the spit, together with the visual impact creates a mouth-watering function your guests will talk about for years to come. We can adapt our menus to suit your requirements. 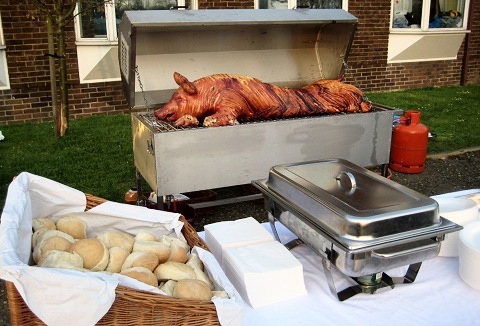 We can cater for every occasion from a simple hog roast with fresh rolls, stuffing and apple sauce to a full hog meal with baked potatoes, home made salads and desserts. Roasted to perfection with our own trademark diamond scored mouth watering crackling. 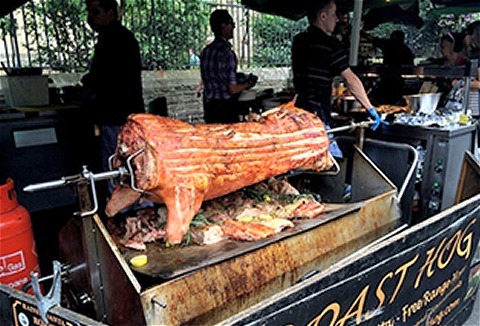 Professionally run outside catering business, specialising in pig roasts for private and corporate functions to events. Our slow roasted pork comes with cripsy crackling, freshly baked floured baps and delicious chunky apple sauce as one of the options. We can supply extremely cost effective choices without ever compromising on quality, provenance or service. 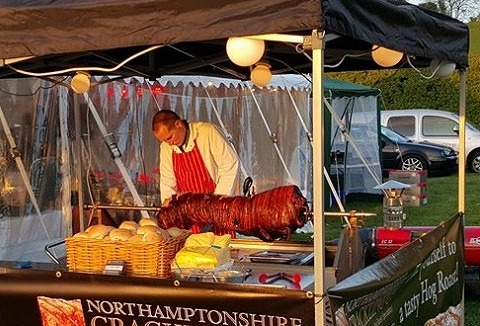 Whether you prefer a traditional English hog roast or something more elaborate as a Greek BBQ or Spanish paella, we can work with most budgets. Superior hog roasts mean traditional, spit-roasted hogs, slow cooked over a flame for eight hours, to ensure crackling on the outside & tender, juicy meat on the inside. 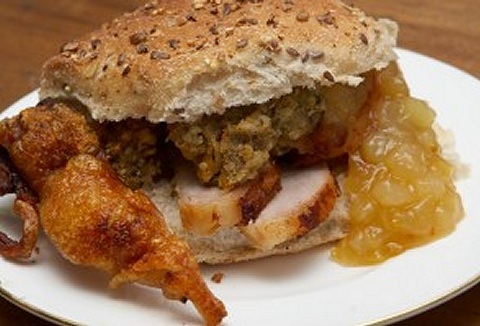 Complete with homemade pork stuffing & apple sauce. BBQs, vegetarian &/or vegan pies. Let your guests dig in to a tasty bap wrapped around a huge succulent piece of roasted hog alongside your preference of stuffing, gravy or apple sauce. We can cover all your requirements from supplying the food and equipment to a full catering service. 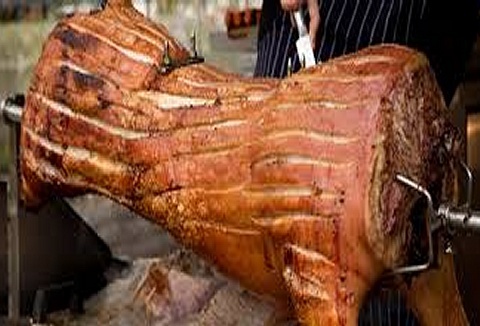 We Can Provide the Ultimate in Spit Roast Catering. 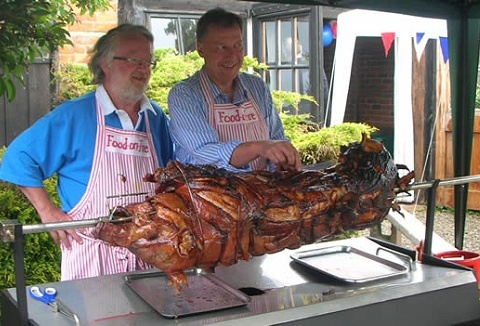 We offer hog roast and speciality spit roast catering for all types of events from private parties to village fetes and corporate events. We use high quality free range produce and offer a variety of meats including traditional pork, venison, beef & lamb.